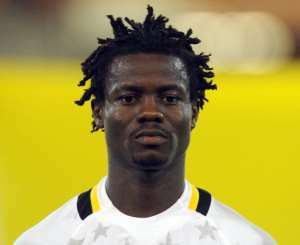 Mrs. Gifty Annan, wife of Anthony Annan has accused the footballer of refusing to perform his marital duties. According to her, the former Ebusua Dwarfs star has neglected her and their four kids for a different woman who he has two children with now. “Anthony Annan performed my traditional marriage when I got pregnant for him. He was then playing for Accra Hearts of Oak. We proceeded to marry under ordinance when he was leaving to play IK Start in Norway," Mrs Gifty stated on Happy FM.